2. Integrated with an ATmega328p microcontroller. 3. Features 14 Digital I/O Pins (6 PWM outputs). 4. Features 6 Analog Inputs. 5. Features an ISP Header. 6. Is Arduino Uno R3 Shield Compatible. 7. Uses a micro-USB programming input and power supply. 8. Has 3 On-board Grove connectors. 1. A very uncomplicated and simple setup with an easy way to program. ​2. There're straight-forward pinout markings and clearly marked labels. ​3. There're empty pins on the PCB for female pin headers to be added as well, give capability to multiple types of jumper wires. ​4. This board has 3 on-board Grove connectors, so it is compatible with all Grove inputs and outputs. ​5. This board has pins for direct serial communication. ​6. It is based on surface-mount components mostly. ​7. There is a power operation switch, switching the board between +3.3 volts and +5 volts. ​8. It includes solder pads at the back of the PCB for additional, external connections. ​9. There is not a need for an installation of the driver for programming on the Mac OS. 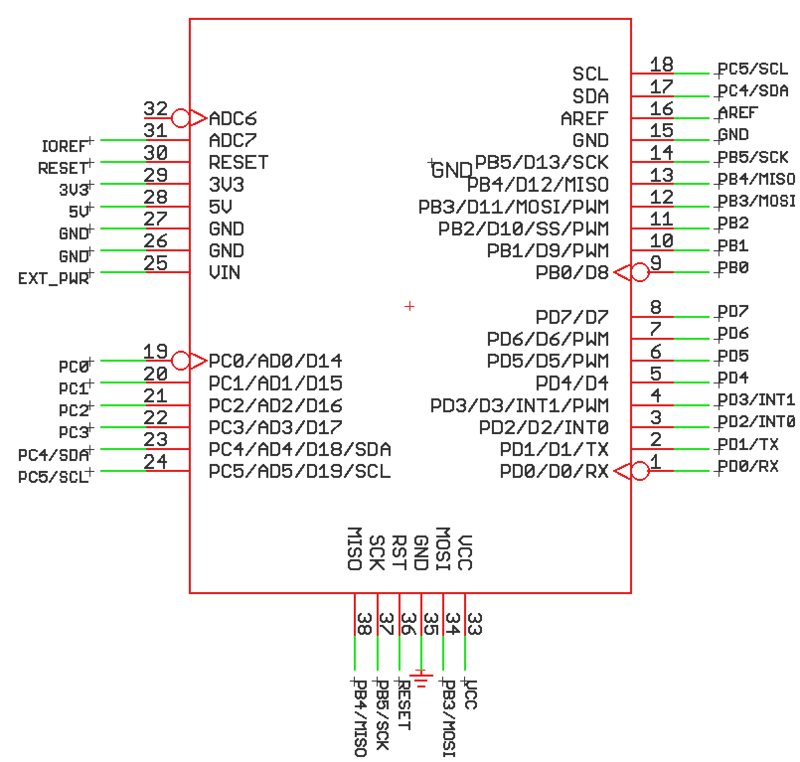 ​There are aspects that needs to be improved such as the roughness on the sides of the PCB, and, the DC input jack isn't properly aligned with the board. ​Be sure to check out the Seeeduino v4.2 Setup by clicking here.